Are You Losing Teeth? Change your life with a permanent full mouth teeth replacement. If you have missing or severely damaged teeth, you may know the physical and emotional pain that so many people experience due to failing teeth. Our board-certified periodontist, Dr. Daniel Lauer, has helped numerous individuals correct their complex dental issues, and he has seen, firsthand, the toll these problems can have on a person’s life. From what you eat to how you interact with others, tooth loss can affect your nutrition, relationships, career, and overall happiness. If you are ready to get your smile back, consider the revolutionary full mouth teeth replacement with dental implants. Dr. Lauer is proud to offer this permanent solution as an alternative to removable dentures—or as a denture replacement. It involves a foundation of 4-6 dental implants that secure a set of new prosthetic teeth. The reconstructive procedure can effectively restore the form and function of your teeth and is a viable alternative to removable dentures. Not only can this give you a beautiful new smile, but the entire process can often be completed in as little as 24 hours! 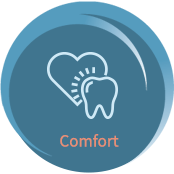 Our team understands the fear associated with losing teeth, and we are committed to helping you find the best possible solution for your lifestyle. To learn if you are eligible for receiving new teeth in a day, please contact us to set up your appointment with our board-certified periodontist. Are You a Candidate for a Permanent Full Mouth Teeth Replacement? The best way to know if you are eligible for new teeth in a day is to come in for an appointment with Dr. Lauer. During this visit, he can take 3D images to evaluate your bone health and determine if dental implants are a viable solution to support a full arch prosthesis. What Does the New Teeth in a Day Procedure Entail? If a permanent full mouth teeth replacement proves to be the best solution for your needs, Dr. Lauer will move forward with planning your implant procedure. The entire process involves his collaboration with a skilled lab technician, as well as your general restoring dentist. Together, the team of experienced professionals can help you obtain a new smile in as little as 24 hours. To get started with your full mouth teeth replacement, Dr. Lauer will conduct an in-depth evaluation of your current oral state. This will involve taking scans of your jaw using our advanced 3D cone beam imaging technology. Based on the health and density of your bone, Dr. Lauer can determine the appropriate number of dental implants needed as well as the best locations to place them. With this information, the lab technician fabricates a surgical guide for Dr. Lauer to use for your implant surgery. During your surgery, Dr. Lauer will extract the remaining deteriorating teeth and replace them with 4-6 dental implants per arch, usually within the same visit. By using the surgical guide to place your implants, Dr. Lauer is able to achieve the highest precision and efficiency, ultimately increasing your potential for successful implant results. At the conclusion of your surgery, Dr. Lauer will take an impression of your mouth, allowing the lab to fabricate a full arch replacement of teeth to be delivered the next day at your restoring dentist’s office. To complete the process of obtaining your healthy new smile, your restoring dentist attaches the full arch teeth replacement to your implants. You will then wear this prosthesis for about 4-6 months, after which a permanent replacement is fabricated and delivered to the final contours of your gums and implants. Most patients can complete all three steps within 24 hours, allowing them to smile, eat, interact, and live without fear or embarrassment. The procedure is truly life-changing, as it can transform both your smile and your self-confidence. What Is the Full Mouth Teeth Replacement Recovery Like? The recovery following a full mouth teeth replacement will differ from patient to patient. It is normal to experience swelling in the first couple days, but this should quickly fade. Any discomfort is typically minimal, though you can take pain medication to control this if necessary. Your diet will consist of eating soft foods for a few weeks until your jaw has had the ability to heal. After this, you should be able to eat all your favorite foods. In the past, obtaining a permanent set of new teeth could take as long as six months to a year. With the latest advancements in technology, however, Dr. Lauer is able to complete the dental implant process in just 24 hours. Although you will still need to wait for your bone to heal before receiving your final prosthesis, the initial full mouth teeth replacement is not removable and, therefore, should not be uncomfortable or affect your nutrition. Why Choose Precision Periodontics & Implant Dentistry? To complement his expertise in placing dental implants, Dr. Lauer utilizes the Planmeca ProMax® 3D imaging technology to plan your surgery. This state-of-the-art device conducts a cone beam scan, which captures high quality digital images of your jaw and teeth, providing a complete view of the structures in your mouth. This detailed information is then sent to the lab, allowing them to fabricate a surgical guide specific to your anatomy. Using this highly customized tool, Dr. Lauer is able to fully optimize your dental implant surgery, placing the posts with enhanced precision for superior results. There is a reason why so many dentists refer their patients to Dr. Lauer for periodontal care. Aside from being a board-certified specialist who is equipped for the most challenging of cases, Dr. Lauer genuinely cares about your well-being and is committed to helping you achieve the best possible outcome. He is transparent with what you can expect and strives to calm any fears you may have about your full mouth teeth replacement. Through such personalized attention, you can expect the highest quality of care, from the consultation through the end of your recovery. 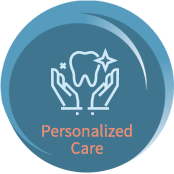 At Precision Periodontics & Implant Dentistry, we know that undergoing a full mouth teeth replacement can be an intimidating decision, which is why we prioritize patient education and strive to help you feel relaxed throughout the process. When it comes time for your procedure, you will be given oral sedation to ensure you remain comfortable. Any pain during or after the procedure is typically minimal, and most patients feel back to normal within a matter of days. Dr. Lauer will talk with you in detail about the procedure, addressing any concerns you may have to help you feel at ease and confident about your decision. Why Should I Get a Fixed Implant Denture vs. a Removable Denture? Dental implants to replace a single denture or a full set of dentures can be an incredible improvement for the function and appearance of your teeth. While traditional dentures can be very helpful as a missing teeth replacement option, the fact is that there are often significant drawbacks to wearing them. Dentures can be ill-fitting along the gums, ultimately causing irritation and redness. They also require adhesives for stabilization, which can be messy and uncomfortable, and they have a habit of moving inside the mouth, resulting in what can be an embarrassing clicking sound. Dr. Lauer can provide dental implants to resolve all of these issues, adding strength, stabilization, and a more natural-looking replacement for missing teeth. The artificial roots of dental implants also help to preserve bone and gum tissue that can be worn away by dentures, benefitting your oral health and facial structure. What Is Guided Dental Implant Placement for Fixed Dentures? For the best dental implant results, Dr. Lauer utilizes a surgical guide to place your implants with the utmost accuracy. This entails using advanced imaging technology to precisely measure the structures of your mouth—from your gums and teeth to your bone and nerves—and plan the exact location and angle of each implant. With this information, a guide is created, which is used during surgery for the implantation of each titanium post being used to support individual crowns or full or partial dentures. With the enhanced precision provided by the guide, Dr. Lauer can perform the surgery with more efficiency while also reducing your risk of potential post-operative complications. Overall, this provides a safer procedure with a more predictable outcome. As a board-certified periodontal specialist, Dr. Lauer is highly equipped for even the most complex of cases. He encourages anyone suffering from oral problems like missing or decaying teeth to schedule an appointment at our office to not only find relief, but also prevent further damage from occurring.